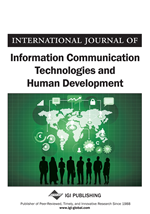 This article compares the effects of information and communication technology (ICT) on labor productivity growth and human quality of life in industrialized countries. A mathematical evaluation method based on the concept of Pareto-optimal organization is proposed for this study. This method is easy to apply and uses a linear programming model. The weights for various measurements are determined by objective method and are standard. The method is illustrated with real data from 23 developed countries worldwide. In the announcement of his presidential campaign Barack Obama said, “Let us be the generation that reshapes our economy to compete in the digital age. Let’s invest in scientific research, and let’s lay down broadband lines through the heart of inner cities and rural towns all across America” (Obama, 2007). In this statement, President Obama acknowledged that investment in science and information technology plays a considerable foundation in the economic success of a country. There is no doubt that modern information and communication technologies (ICT) are required for innovation, and can be an equalizer for access to education, health and legal services, and to the government. The increasing use of technology in all aspects of society generates confident, creative and productive individuals, furthermore, creates elevated life styles. ICT capability is fundamental to participation and engagement in modern society in today’s world and is an essential skill for life. The last two decades, in particular, have witnessed the widespread adoption of a great number of emerging technologies, notably the personal computer, the cell phone, and the Internet. Together with their multitude of applications, ICT touches on nearly every known economic and societal norm. Today, in many developed countries, the majority of businesses use computers and the Internet as a matter of routine. The ICT sector, in general, has considerable impacts on economic performance, as it is characterized by very high rates of technological progress, output and productivity growth. These characteristics imply a considerable contribution of the sector to economy-wide performance. The impacts of the sector can be examined in several ways; directly, through its contribution to output, employment or productivity growth, or indirectly, for example as a source of technological change affecting other parts of the economy (Roberts, 2005). Since the mid-1990s, high rates of economic growth in the U.S. economy and the remarkable acceleration of productivity growth is widely attributed to the ICTs (Hagemann, 2008). During the second half of the 1990s the comparative growth performance of Europe vis-à-vis in the United States has undergone a marked change. Average annual labor productivity growth in the United States accelerated from 1.3% during the period 1980–95 to 1.9% during 1995–2003, EU growth declined from 2.3% to 1.3% (Timmer & van Ark, 2005). Investment in ICT contributes to capital deepening and can therefore help raise labor productivity (Jalava & Pohjola, 2002; Basu, Fernald, Oulton, & Srinivasan, 2003). The use of ICT throughout the economy may also help firms increase their overall efficiency, thus raising multi-factor productivity (MFP) growth. Moreover, ICT use may contribute to network effects, such as lower transaction costs and more rapid innovation, which should also improve multi-factor productivity (Roberts, 2005). These impacts can be examined at different levels of analysis, that is, using macro-economic data, industry data or data at the level of individual firms or establishments. Several studies have examined the impact of ICT at the macro-economic level (Colecchia & Schreyer, 2001; Van Ark, Inklaar & McGuckin, 2002; Jorgenson, 2005). These studies show that ICT investment contributed to capital deepening and growth in most OECD countries in the 1990s, though with considerable variation across countries. ICT investment typically accounted for between 0.3 and 0.9 percentage points of growth in GDP per capita over the 1995-2003 period (OECD, 2005b).